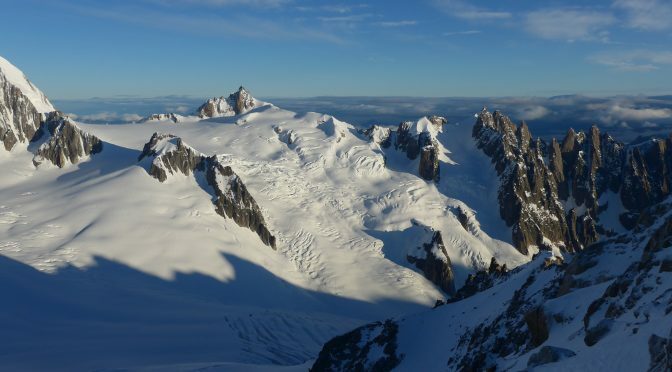 Chamonix, France – An unguided pair of Russian skiers fell into a crevasse near the Aiguille du Midi on Chamonix’s famed Vallée Blanche over the weekend, leaving one victim dead. An unidentified 30-year-old man slipped and fell into the crevasse on Saturday, as did his 60-year-old father when the latter attempted to rescue his son. Rescuers were notified by a friend of the pair on Sunday morning that they did not return from their day of skiing on Saturday. Searchers recovered the son’s body on Sunday afternoon from a crevasse in the mountain’s Géant Serac sector, while his father was found wandering on the glacier after self-extricating from the crevasse. 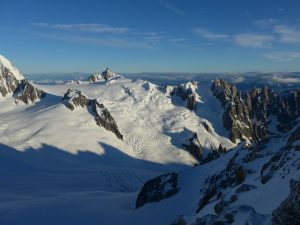 While guide service to descend the Vallée Blanche ski route is strongly recommended due to the unique nature of glacier travel, it is not required.